We have 99 clubs in the UK and a further 15 across mainland Europe. 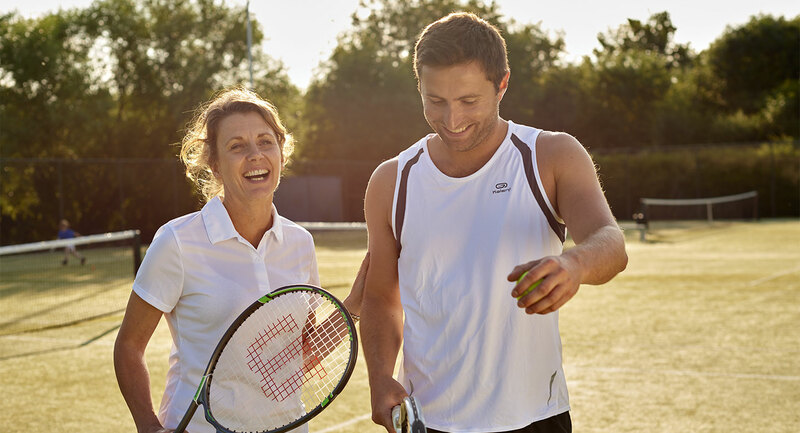 We have approximately 570,000 members and employ 8.600 people, including an expert health and fitness team of over 2000 and more than 680 tennis professionals. Across all of our clubs, we have over 180 swimming pools and offer more than 13,000 exercise classes every week. Our racquets facilities are unrivalled, with 1000 tennis courts, and more than 400 badminton and squash courts. We also offer outstanding coaching programmes for children and every week 25,000 children learn to swim and 16,000 learn to play tennis in our clubs. But we provide more than just amazing fitness facilities, we also have health and beauty spas, lounges with free Wi-Fi, crèches, nurseries and specialist sports shops. As Europe’s premier health, sports and leisure group, David Lloyd Clubs has been helping families lead healthy and active lives for more than 30 years. We recognise the importance of our role and responsibility in contributing to a healthy society and a sustainable environment. We've taken some very significant steps in this area, that demonstrate our commitment to the Environmental Social and Governance (ESG) principles that increasingly underpin our entire business strategy. Find out more about Corporate Social Responsibility.